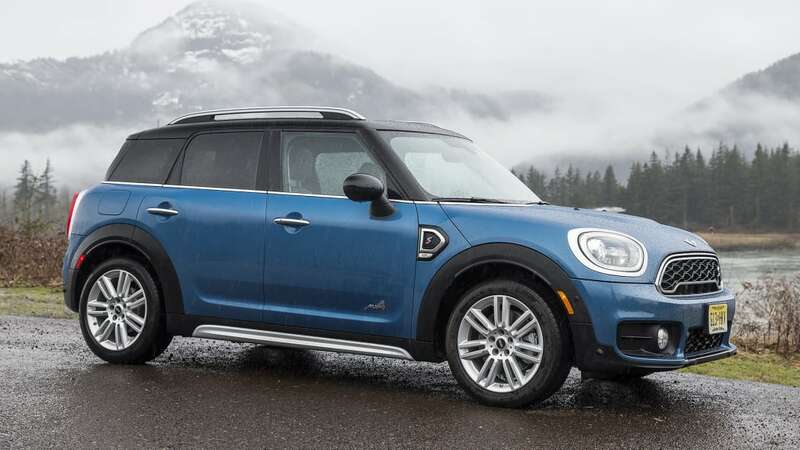 Autoblog rating for the MINI Countryman is not available. Please check back later. 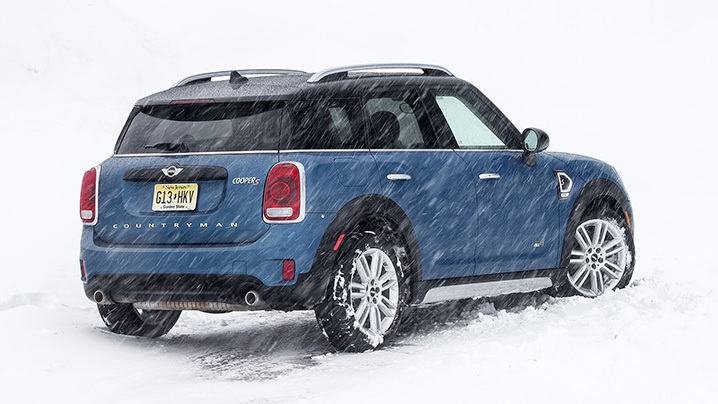 Think of the 2017 Mini Countryman as the brand's "ah, to hell with it" moment. At a whopping 8.1 inches longer and 5.4 inches wider than the vehicle it replaces, it is quite obviously the least-mini Mini ever. Yet, that size increase makes it more useful, comfortable riding, and better proportioned. 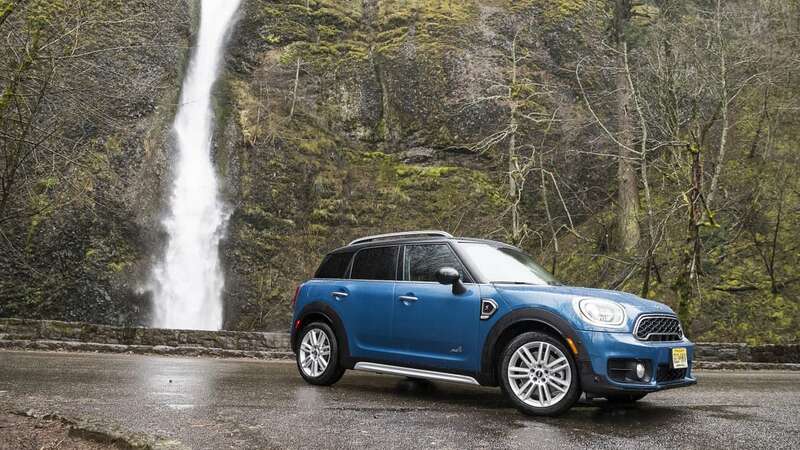 If a compact crossover SUV is what's to be, then this is the size it should be. 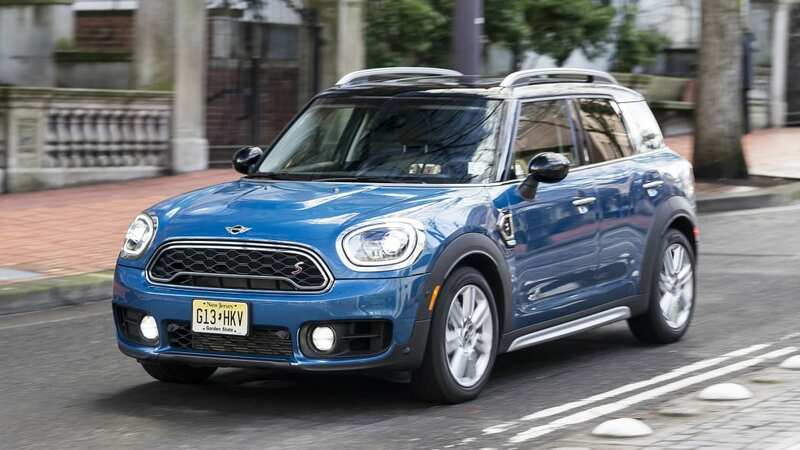 However, it's still quite mini for a compact SUV, coming in at 3 inches shorter than the Mercedes-Benz GLA-Class and 4 inches shorter than an Audi Q3. Neither of those are what anyone would describe as "large." 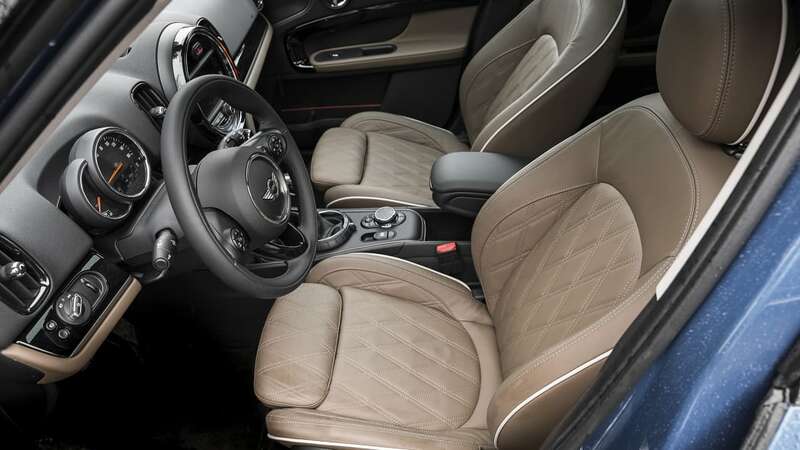 And yet, the Countryman boasts a considerably more spacious and usable interior than either of them. 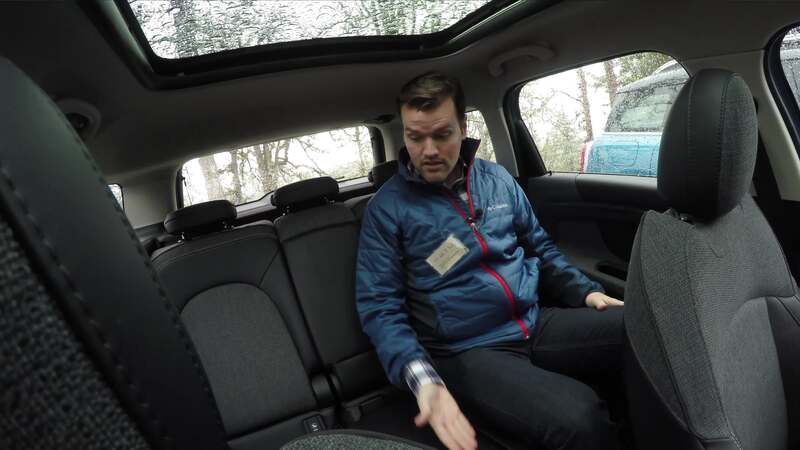 Sit in the new Countryman's back seat and you'll be amazed at the space, with plenty of leg- and headroom for even tall people despite a standard panoramic sunroof. 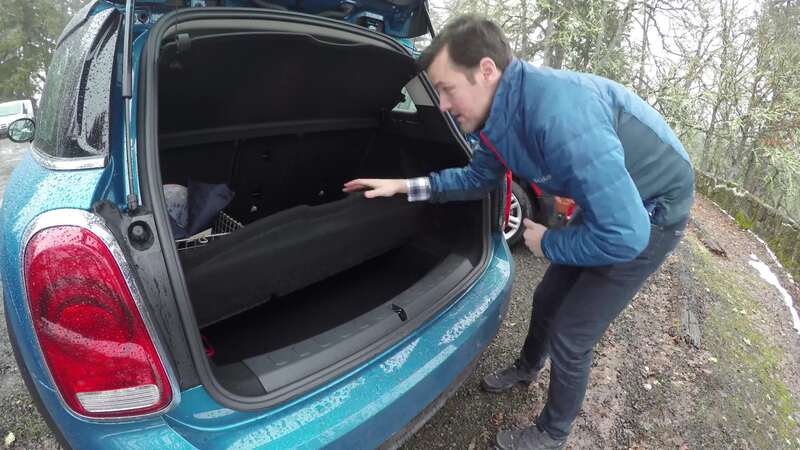 Crossovers of similar exterior dimensions, luxury or otherwise, just don't come close to providing as much passenger space. 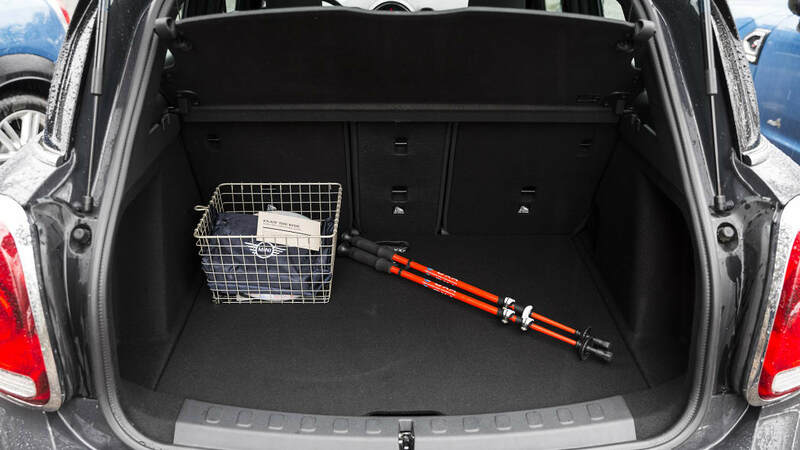 The cargo area isn't quite as impressive on paper, but its boxy shape and the sliding second-row seat make it far more versatile in practice. 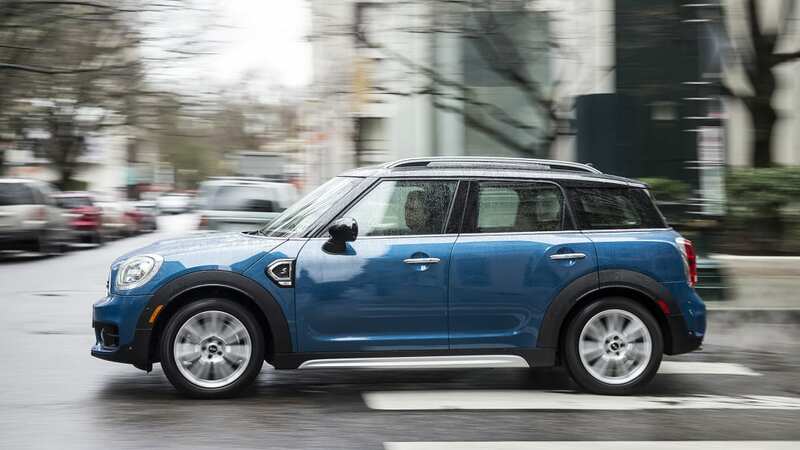 So, despite being the least-mini Mini ever, the new Countryman is still in keeping with the brand's ethos from the very beginning when Alec Issigonis created a car that was microscopic on the outside but disproportionately spacious inside. 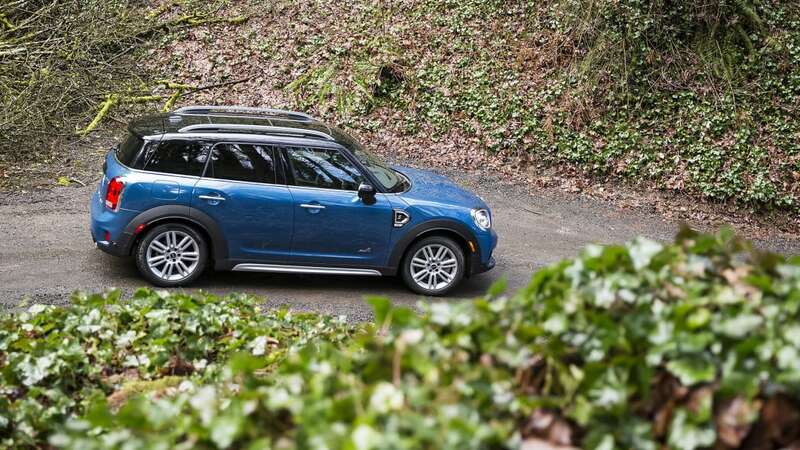 There's far more to this redesign than just dimensional changes – the 2017 Countryman grows up figuratively as well. The original model always felt like a Mini Cooper hardtop that ballooned in size and door count. Compared to SUVs of similar price, and more damningly of lesser price, it was crashy, loud, a bit cheap inside, and relatively uncouth. The base model was also embarrassingly slow. The new version feels more like a proper compact luxury SUV flavored with a robust Salt Bae of Mini spice. Actually, that's pretty much what it is. 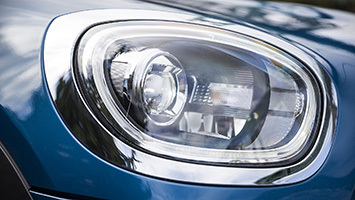 The Countryman now shares its front-wheel-drive platform with the new BMW X1, which itself benefits from various trickle-down elements from elsewhere in the BMW Group. 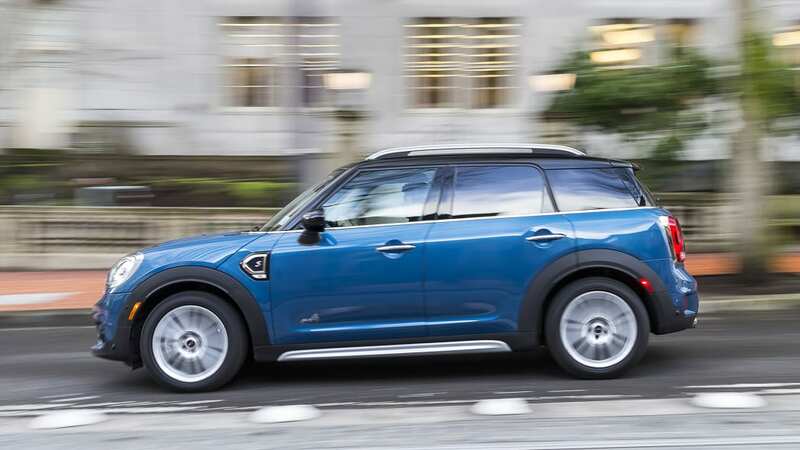 For instance, processes developed for the 7 Series are in part responsible for the new, stiffer structure that contributes greatly to the 2017 Countryman's other great advancement: the exponentially better ride. The old one harshly crashed over bumps in a way that only Fred Flintstone wouldn't find tiresome. The new Countryman is still on the firm end of the spectrum, but that's just in keeping with its road-hugging character. Importantly, the impact harshness is now gone and there's a nicely damped ride very much in keeping with its BMW roots. 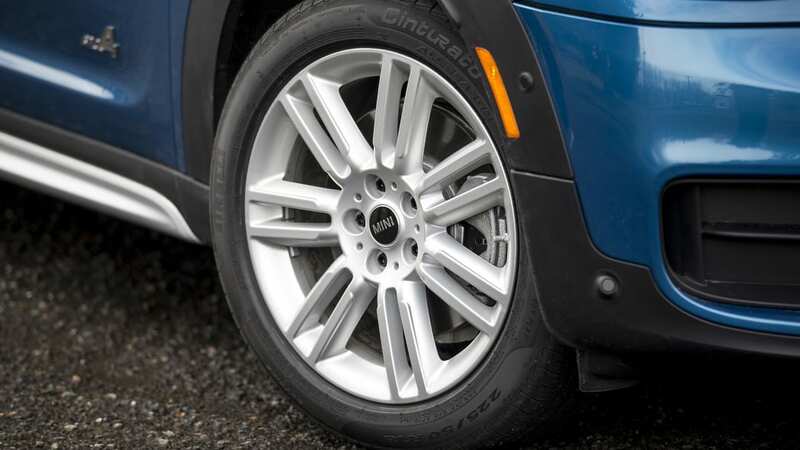 Not only is the suspension more sophisticated than before (the geometry is shared with the X1, the tuning is not), but crucially, the 18-inch wheels are now shod in higher-profile rubber. You can also get non-run-flat tires and a compact spare to smooth things out further. 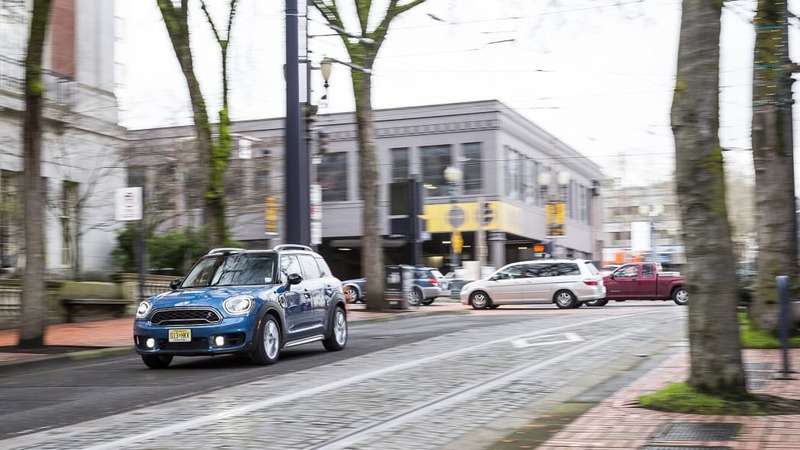 And it wasn't like the drive route was lobbing it softballs – the minefield of potholes and tram tracks throughout downtown Portland, Oregon, made it clear just how much the ride had been improved. It's not a couch, but it was also never objectionable. 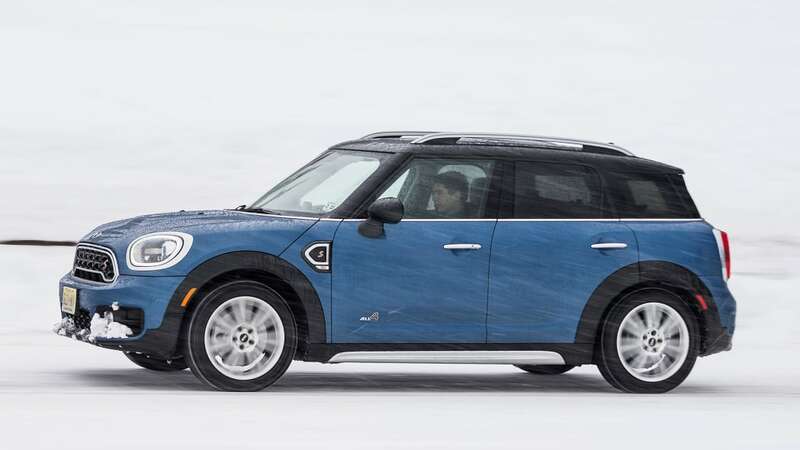 Happily, it also doesn't negate that quintessential Mini driving feel. Our pace may have been dulled by rain and snow around Portland and Mt. Hood (in early March, who'd have thunk? 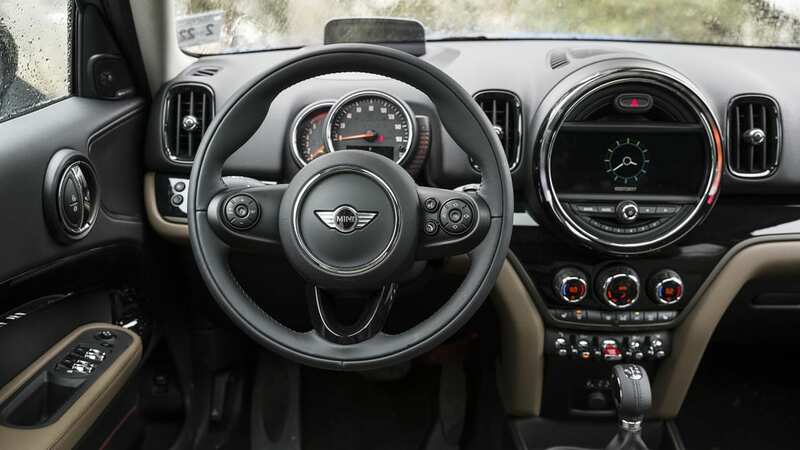 ), but the Countryman still boasts responsive steering, flat cornering responses, and a general nimble feel that won't be confused for any other brand. It's lost some of its darty, vaguely go-kartish feel, but then so has the rest of the Mini lineup. Selecting the Sport mode sharpens responses, increases steering effort, and firms up the suspension should you opt for the Dynamic dampers, but in the Cooper S model we don't think you'll be reflexively turning it on at start up. 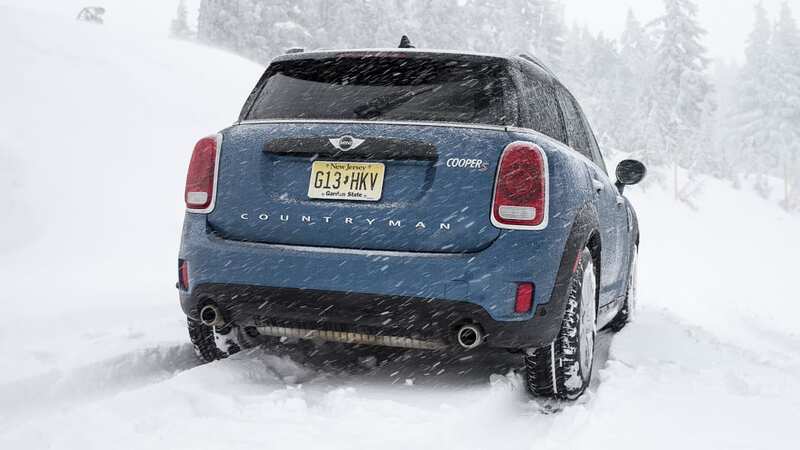 The base Cooper model might be a different story. 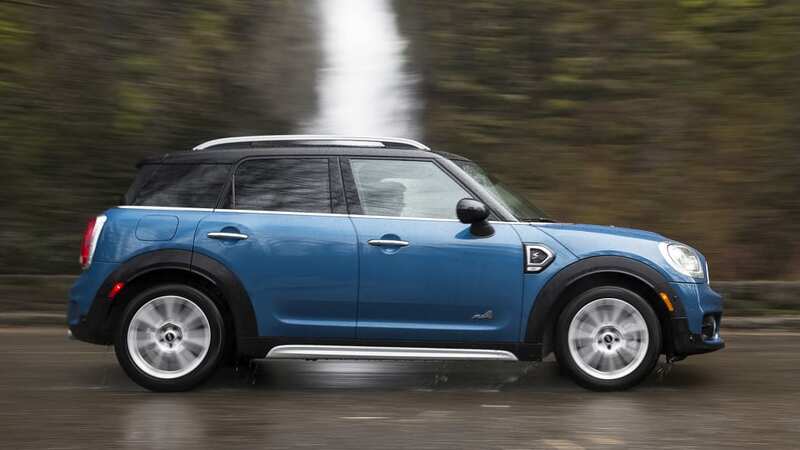 The Countryman once again shares its engine lineup with the Cooper hardtop, albeit the new BMW-developed turbocharged units. 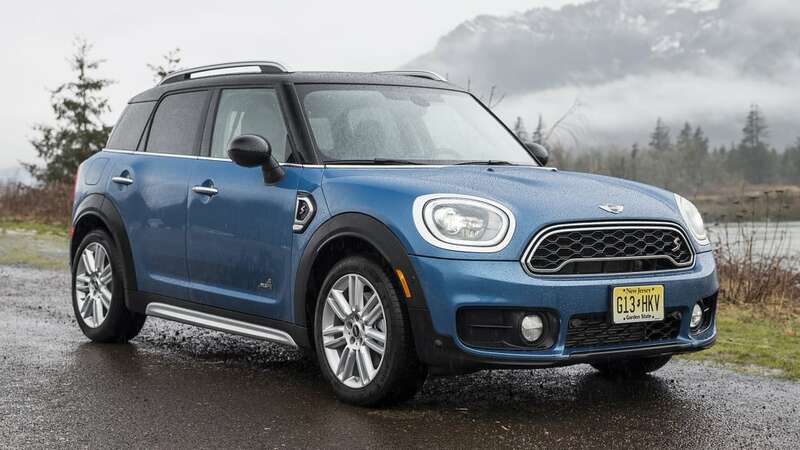 Unfortunately, the 1.5-liter turbo inline-three's 134 horsepower and 162 pound-feet that prove to be so sprightly in the Cooper hardtop just aren't enough in the 3,330-pound Countryman (or 3,510-pound all-wheel-drive Countryman ALL4). 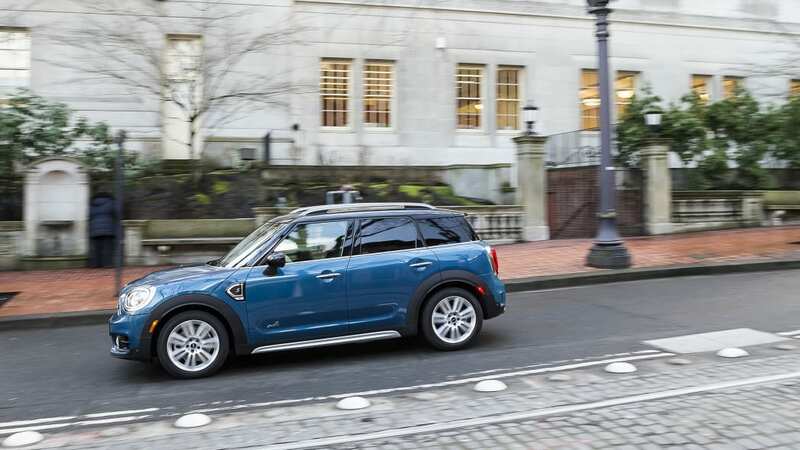 Mini says that the Countryman will actually, perhaps counter-intuitively, be more popular than its other, smaller models in urban and densely packed suburban areas (just like Portland) where customers are more likely to have one car and thus need it to be more functional. 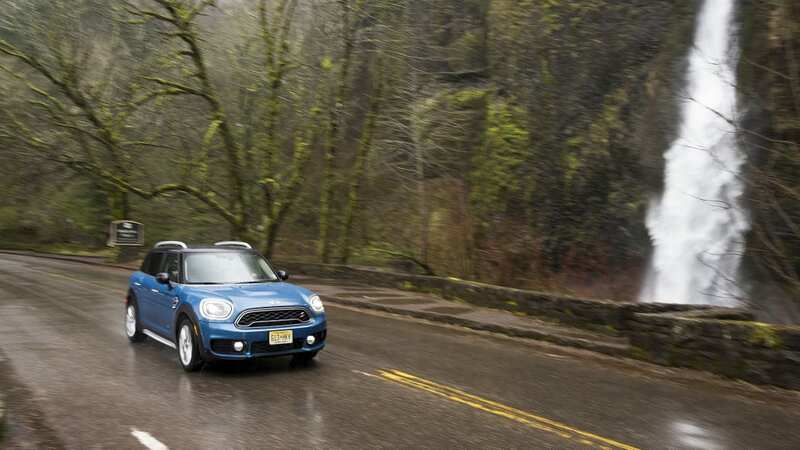 If that's the case, the base Cooper engine might be sufficient if all you're going to do is putter around town. 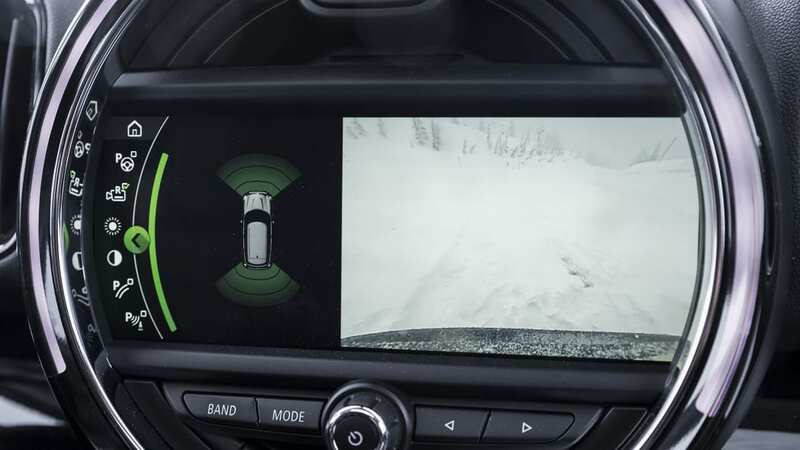 However, with two sizable people aboard, the base Countryman struggled to get up to speed, and flooring it up an incline really didn't accomplish much. 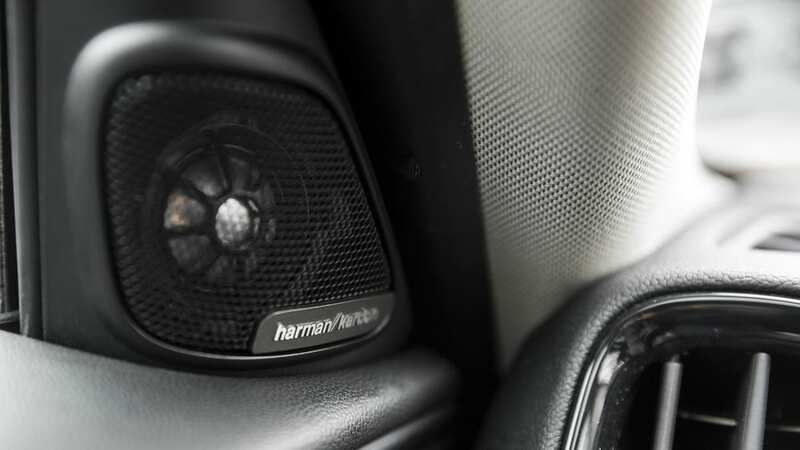 Opting for Sport mode was needed just to keep the small three-banger on its toes around town. 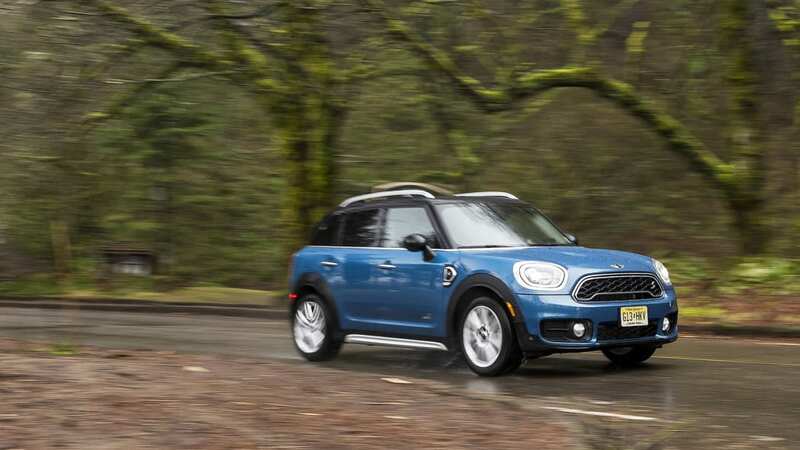 The Cooper S and its 2.0-liter turbo inline-four is therefore highly recommended, as its 189 hp and 207 lb-ft produce acceleration in keeping with the segment and the Countryman's price tag. It's about 2.5 seconds quicker from zero to 60 mph than its lesser-endowed sibling (7 seconds with ALL4 versus 9.5). 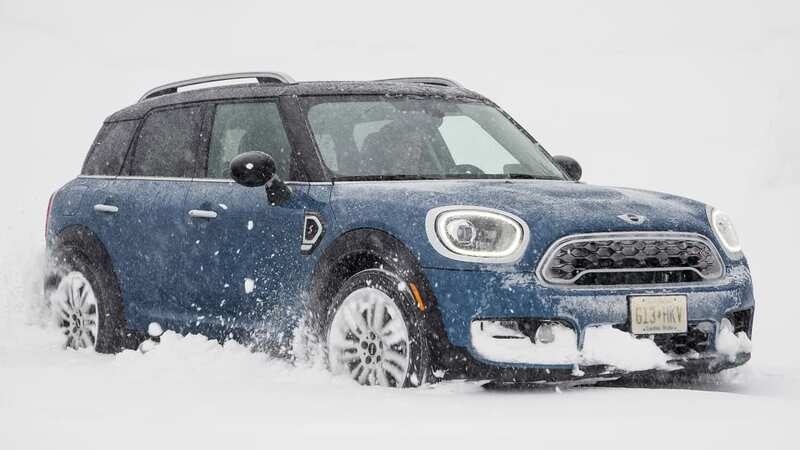 As before, you can get a six-speed manual transmission on virtually every configuration (no front-drive Cooper S), while BMW's excellent eight-speed automatic is optional (front-wheel-drive Coopers get a six-speed). 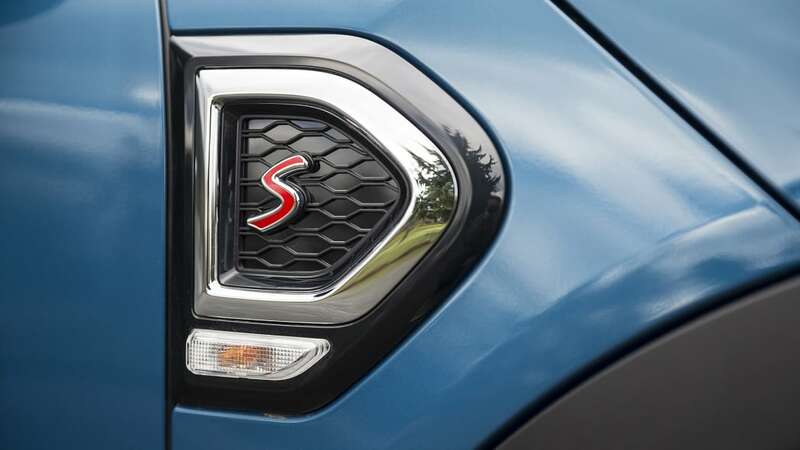 The John Cooper Works version and the Cooper S E Countryman plug-in hybrid are coming later in the year. 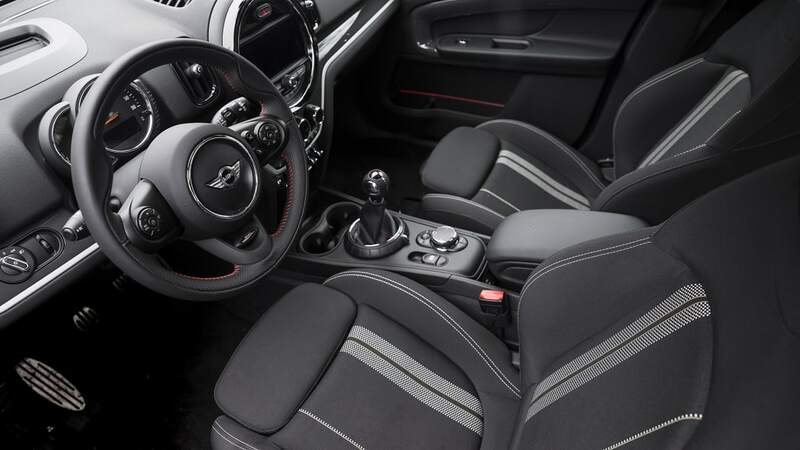 The interior gets a much-needed upgrade as well. 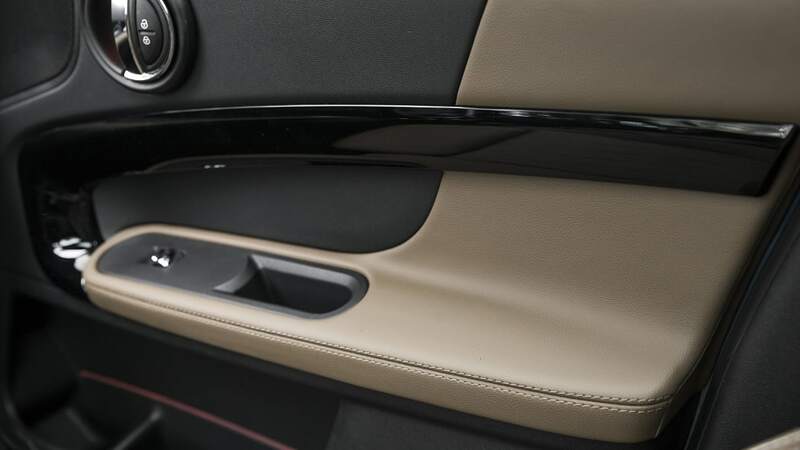 Material quality is greatly improved and is in keeping with the richer environments one expects from the entry-level luxury segment. 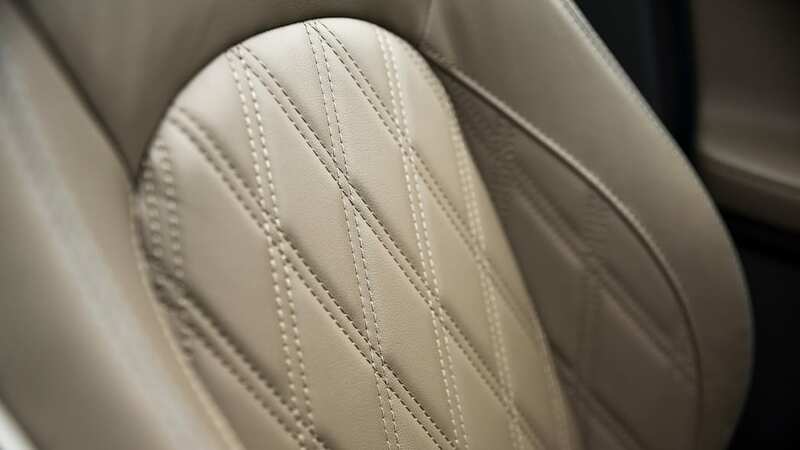 This is particularly true when you spend a little extra to upgrade the upholstery – the diamond-quilted Chesterfield British Oak (brown) leather and the distinctive "Black Pearl" upholstery mix of leatherette and a gray tweed fabric are really special. So too are the distinctive Mini design cues, which have admittedly been turned down a bit in the name of function. The switchgear is thankfully less Fisher-Price. 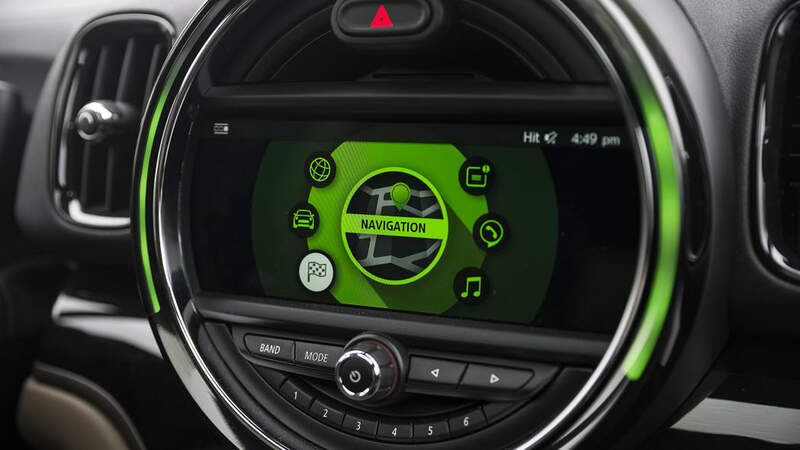 The huge pie-shaped space in the dash is now wholly dedicated to the infotainment system (no more vestigial speedometer) like on other new Minis. Although there is a base 6.5-inch screen, we sampled the upgraded 8.8-inch unit that is touch-operated (a first for Mini and a function shared only with the BMW Group's newest, priciest sedans). 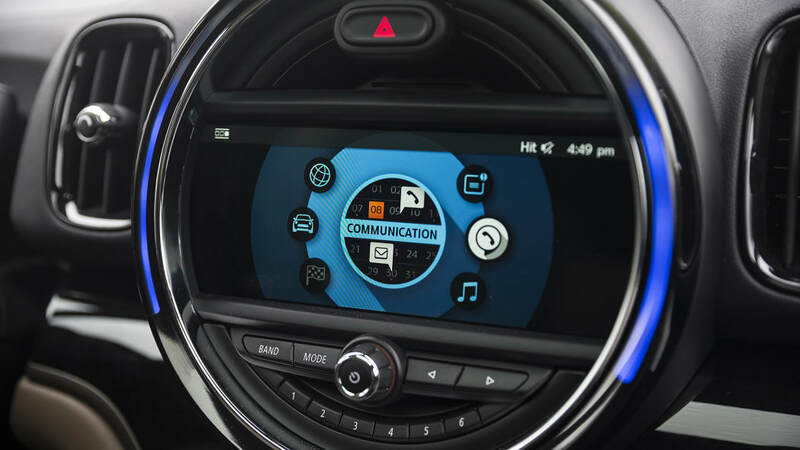 That redundancy is certainly appreciated since the iDrive-like controller is still awkwardly placed too far rearward on the low center console. That's not the only new feature, either. 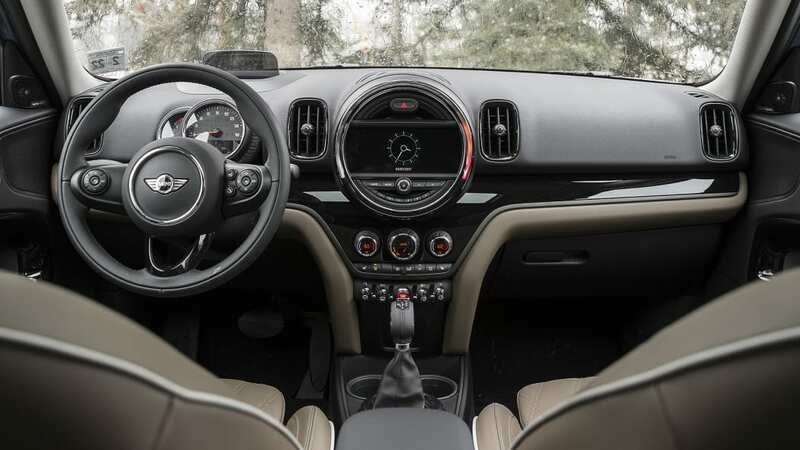 Every Countryman now comes standard with a panoramic sunroof, a rearview camera, Comfort Access keyless entry/start, automatic wipers and lights (LEDs on the Cooper S), a sliding and reclining back seat, and, when all-wheel drive is selected, heated front seats. 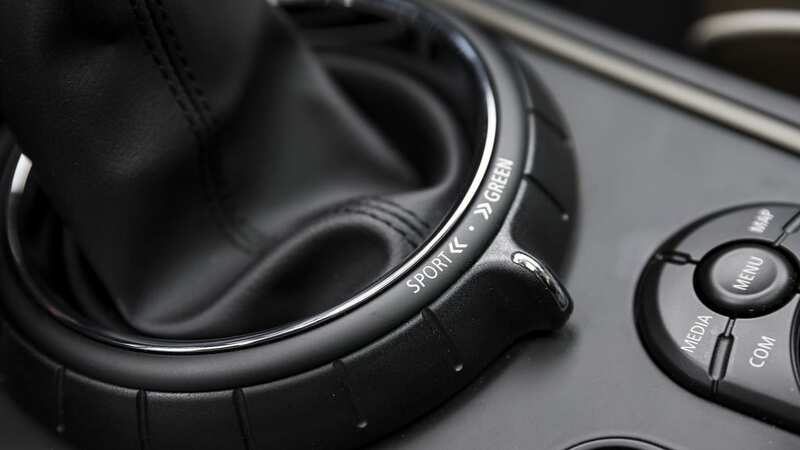 A power driver seat is finally now available as an option. 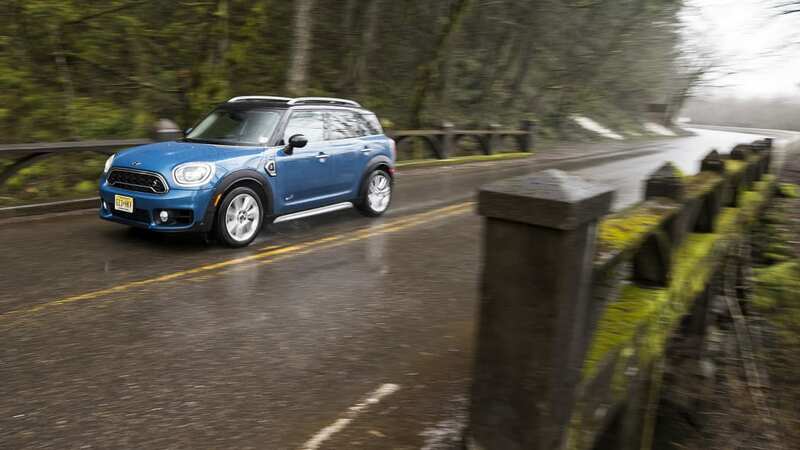 That feature content helps align it better with those aforementioned compact luxury SUVs, but with the exception of the similarly priced Audi Q3, the Countryman is the better deal. A comparably equipped GLA or X1 would be about $4,000 more, give or take a few hundred dollars. 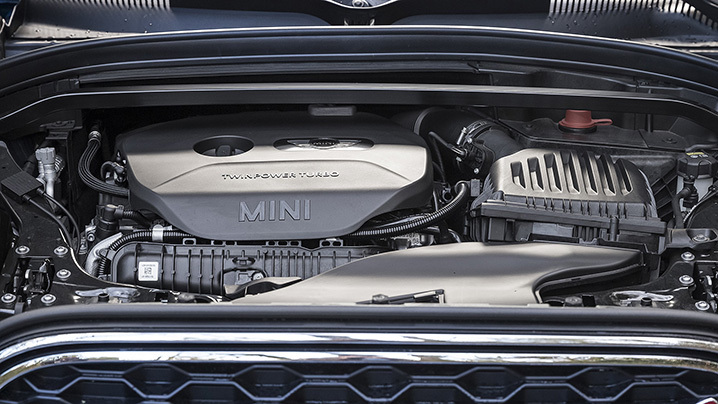 The more powerful and spacious X1 may be worth that premium, but the GLA most definitely is not. 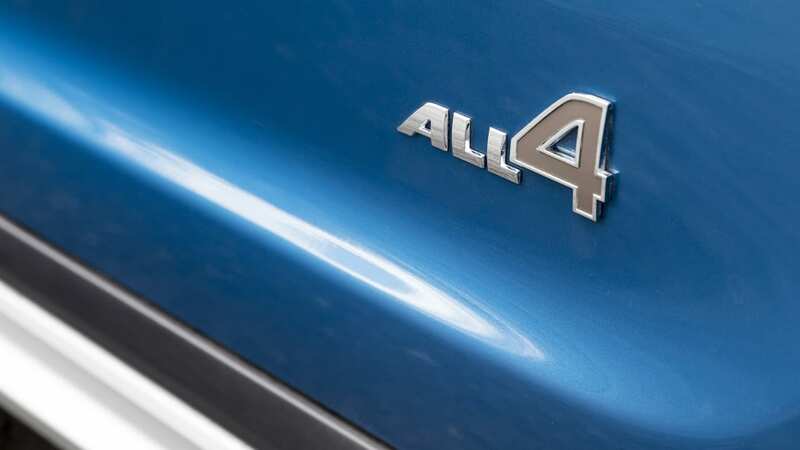 Of course, one has to question the value proposition of this entire compact luxury SUV segment. The new 2017 Mazda CX-5 is about $8,000 less expensive than a comparable Countryman S despite being considerably bigger, just as quick, and, possibly, more fun to drive. 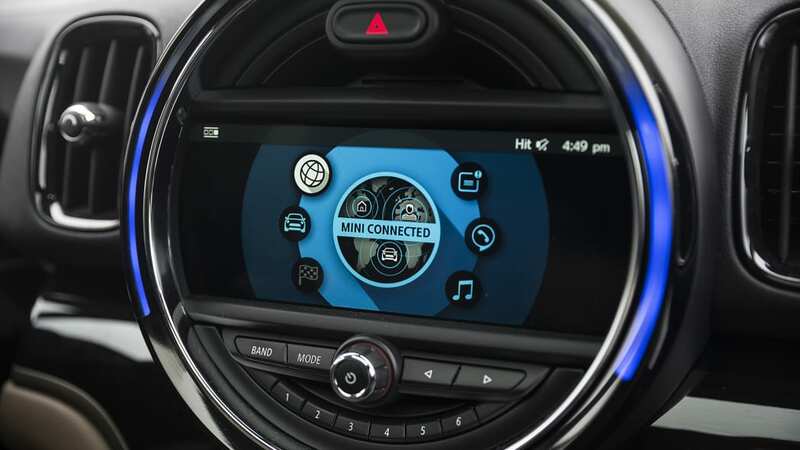 Yet, any Mini fan will tell you there's more to their beloved brand than just figures on a spreadsheet. 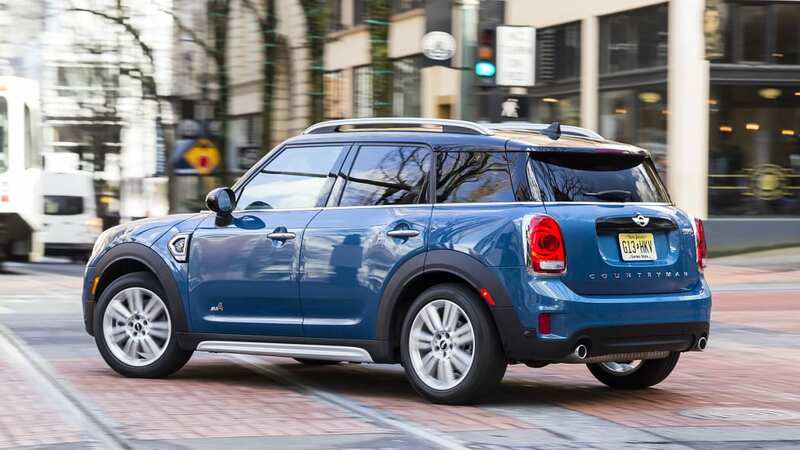 And for them, the 2017 Countryman should most definitely make the grade. 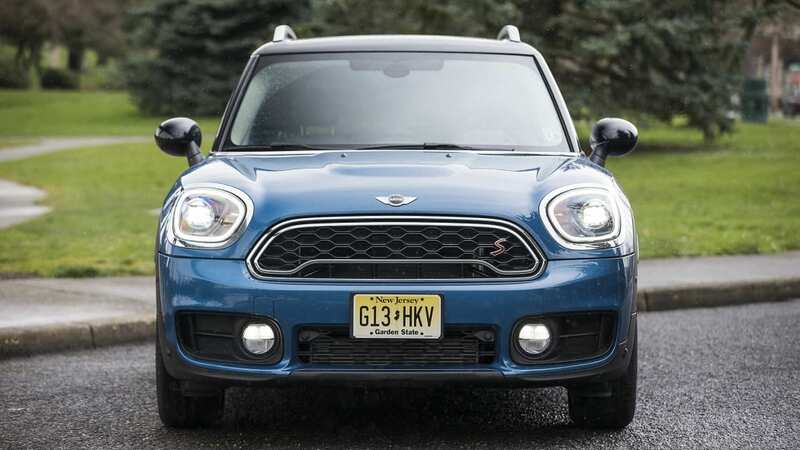 It's still unmistakably a Mini, but it's also better proportioned and no longer has the face of an angry tiki god. 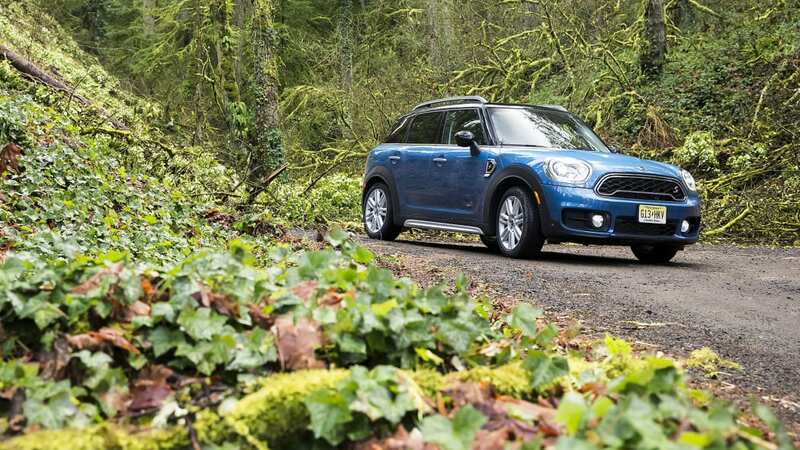 The driving experience remains Mini sharp, but it's more comfortable, quiet, and refined. 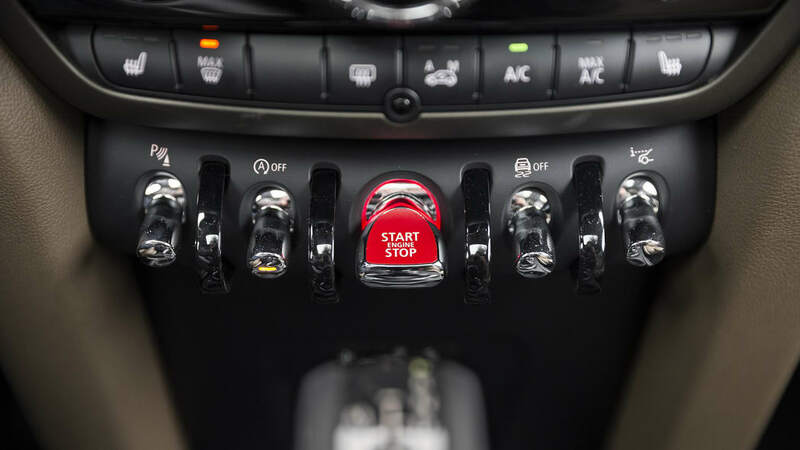 There are still plenty of quirky features (toggle switches! 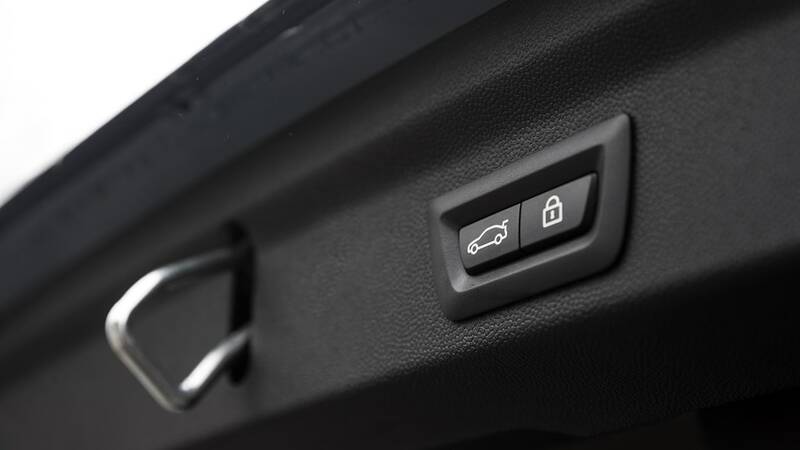 ), but those devoted to comfort, convenience, and safety have increased. And, quite importantly, it remains customizable. 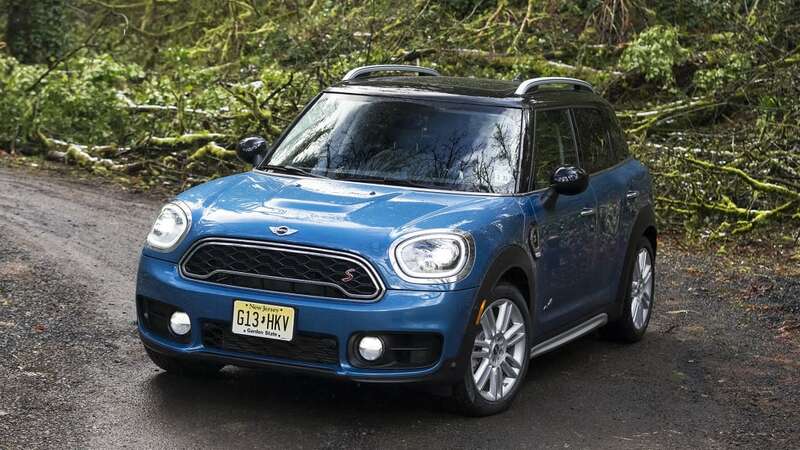 Indeed, two-thirds of Minis are literally unique, and custom orders should take between four and six weeks to arrive on the east coast from the Countryman's assembly line in the Netherlands (that's right, this Mini is as British as King William III). 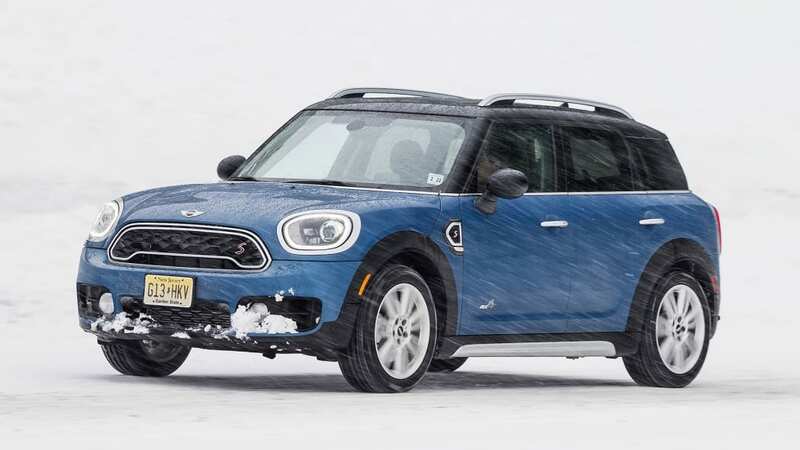 So it might not be that mini, but this Mini is nevertheless a substantially better vehicle than the one it replaces and actually one of the strongest contenders in a segment that's only going to get more popular.